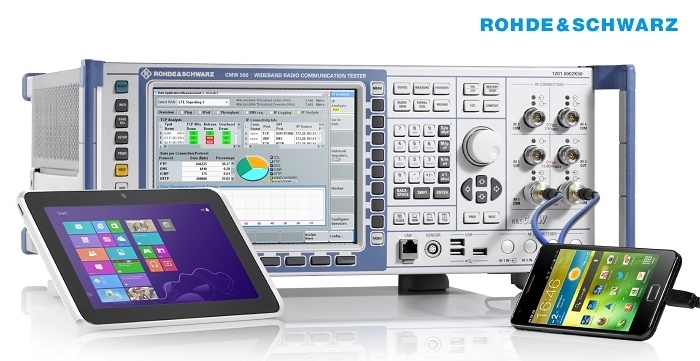 At MWC 2019, Rohde & Schwarz will be unveiling a new offering in its line-up of WLAN signalling testing solutions. The company will release its new CMW270 wireless connectivity tester that allows developers to test the RF characteristics of WLAN 2x2 MIMO stations in line with the IEEE 802.11ax standard. Using the R&S CMW270 wireless connectivity tester, developers can test the RF characteristics of both transmitters and receivers. This solution also allows them to determine the data throughput in the transmit and receive directions. In signaling mode, the CMW270 emulates a WLAN 11ax access point (AP) to which the DUT, a WLAN station, is connected in normal mode. Unlike commonly used non-signaling mode, tests and measurements in signaling mode have the advantage that the user performs them under realistic conditions and does not need wired remote control with device-specific control software for the DUT. R&S’ CMW270 is ideal for more than just signaling tests in line with the IEEE 802.11a/b/g/n/ac/ax WLAN standards. It can also comprehensively and simultaneously test Bluetooth devices, for example. It also supports RF tests for ZigBee and Thread components in line with IEEE 802.15.4. The WLAN 2x2 MIMO 11ax signaling solution will be presented to the general public at MWC 2019 in hall 6, booth 6C40. It will be available from Rohde & Schwarz in April 2019 and can be ordered for the CMW270, CMW290 and CMW500 radio communication testers. Click here to learn more about Rohde & Schwarz at MWC 19.